Tent canvas and wood with two bedroom kitchen with fridge and gas hob outdoor terrace with table bench and stool. No toilet or water in the ecolodge. We provide blanket covers bed pillows dishes are not provided sheets and linens. Check availability dates and rates to book your stay in a few clicks! 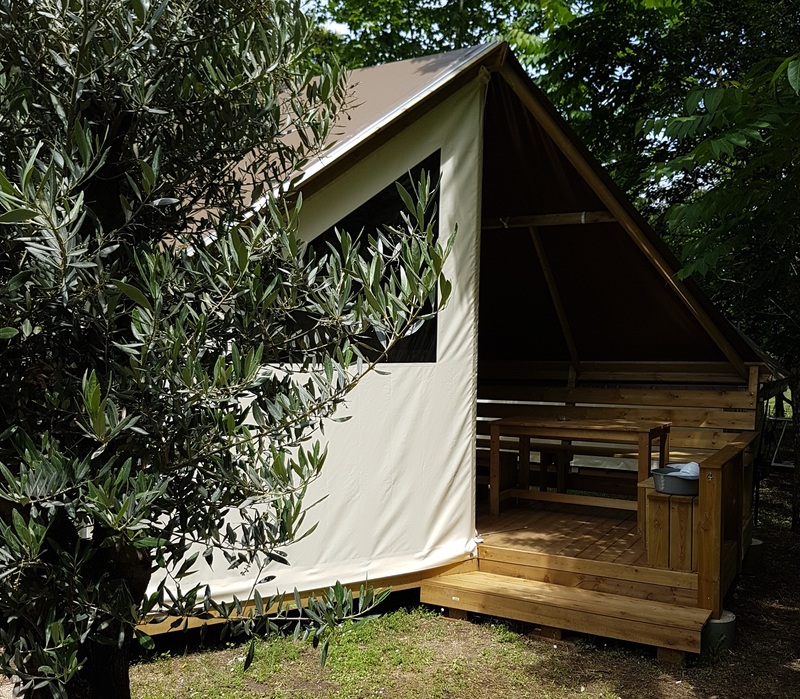 Existing for more than 50 years in Porticcio near Ajaccio, in Southern Corsica, the Camping La Vallée is a quiet and green campsite which offers rental chalets, mobile homes, ecolodges, and pitches for motorhomes, caravans or tents.